You deserve a home that is comfortable year-round. Not hot and muggy in the summer or freezing during the winter. Many homes waste energy through drafty rooms, poor insulation, and inefficient HVAC equipment. Our Home Performance Energy Audits pinpoint specific problem-areas in your home and identify efficiency improvements that increase home comfort and save you money. A Home Energy Audit improves your efficiency and unlocks eligibility for efficiency upgrade rebates from your utility. 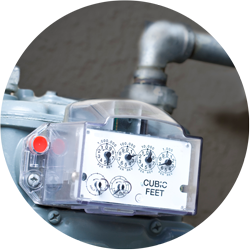 Our Home Performance Energy Audits take only 3-4 hours and save homeowners 5-10% on their annual energy bill. First, answer a few basic questions about your home. After that, one of our energy auditors will perform several advanced diagnostic tests applicable to your home, which may include a blower door test to determine air leakage, thermographic camera tests to assess insulation, and combustion and safety tests to help identify and prioritize efficiency opportunities in your home. During your Home Performance Energy Audit Elysian Energy will install a variety of energy-saving products at no additional cost (Maryland only). Our installations save the average homeowner over $200 annually. Once the audit is completed, our building scientists will provide a Home Energy Report Card with a list of recommended solutions for the problems identified. These may include increasing insulation levels, sealing air leaks, or replacing outdated or malfunctioning equipment, such as your heating and air conditioning system or water heater. Our team will help you perform the efficiency improvements that work best for you. Upgrades that pay you back. In addition to the money you’ll save from reduced energy use, you may be eligible for rebates to help offset the cost of the improvements.